Yes, it's possible to do that for some wildflowers, but not for others. Spring-flowering wildflowers are either winter annuals or perennials. Winter annuals germinate in the fall and flower the following spring. Perennials may germinate at any time, but usually grow one to three years before flowering. Fall-flowering annual wildflowers are good candidates for starting in pots and transplanting. However, there is not a lot of advantage in doing so and most folks simply sow the seeds directly in the garden where they want them. 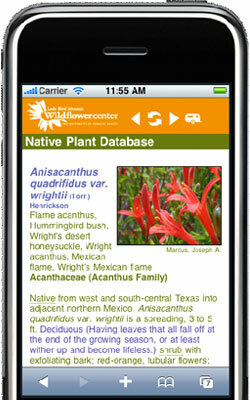 March 20, 2004 - How can I learn more about the native plants and wildflowers of my region? August 18, 2012 - I have a native grass and wildflower lawn. At what frequency and when should the lawn be mowed?